New year, new look! Check out Erzullie’s Corporate 2015 Look 1! This ensemble is made up of salmon pink top and pencil skirt. The online launch of the collection is this February 5, 2015, Thursday. So watch out for that. PLUS SIZE NEWS: ERZULLIE CORPORATE 2015 ONLINE DEBUT THIS FEBRUARY! For all the fierce plus size corporatistas out there, mark your calendars! Erzullie will be launching the Corporate 2015 collection ONLINE on February 5, 2015, Thursday. Stay tuned for your latest fierce plus size fashion. 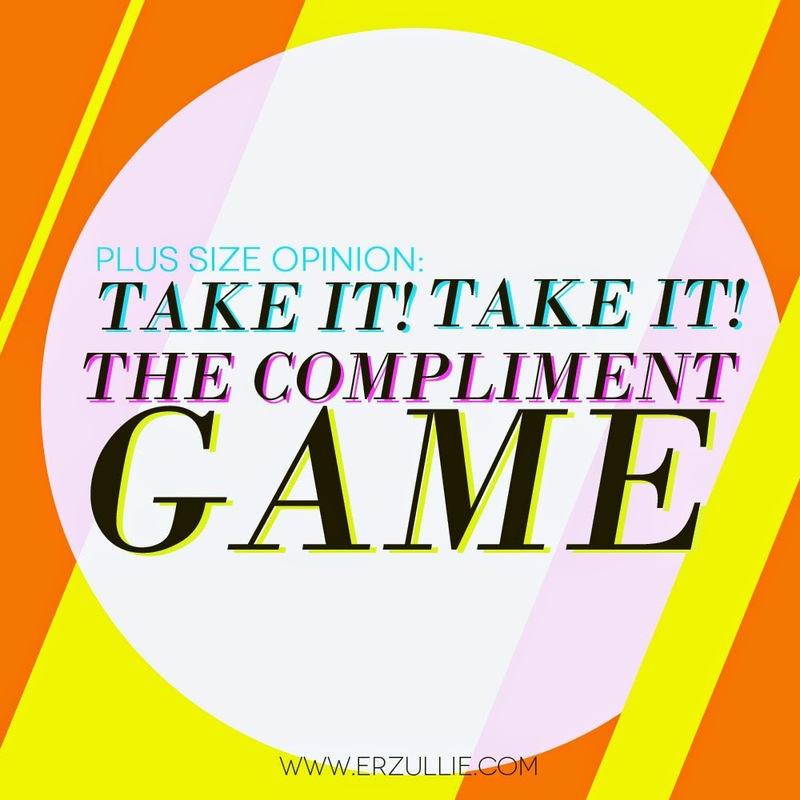 “Just take it!” That’s me screaming in my mind whenever someone throws me a compliment on what I look like or the Erzullie outfit that I am wearing. I don’t know how or why but it seems like I have developed this notion of “not taking compliments” and I have realized recently how disrespectful it is not to acknowledge it. Why so? Well, mainly the other person took time to scan you, transport it to their brain cells (that they could have used for other things) and then processed it into a sentence that hopefully would brighten up your day. This process is how much effort one takes to come up with seeing something good in someone. Specially with someone that you rarely know or have not been able to connect with for a long time. Don’t throw away this person’s effort by demeaning yourself further. Not only will that make you look like you are fishing for more (displaying false humility), but you also just disregarded the whole effort of the person to come up something great about you when they are not completely obligated to do so. But why do we do it? We are stuck thinking that if we accept a compliment, we are boastful or attention-seeking immediately. No. Not unless you were fishing, then yes, but if you were given a compliment out of the blue, when you didn’t even intend to get one my advice is to take it and feel great about it. Allow yourself to be appreciated as the person that you are because you deserve it. Anything that you do to yourself will always be worth a compliment.